Manchester United parted ways with Portuguese manager Jose Mourinho after two-and-half years in charge at Old Trafford. Mourinho won three trophies in his debut season as a Manchester United manager, guiding the Red Devils to their first UEFA Europa League trophy, Carabao Cup and FA Community Shield. In his second season in charge, the Portuguese gaffer guided Manchester United to a second place finish in the Premier League -- their highest League finish in the post Ferguson era. However, things turned sour for the Portuguese manager in his third season in charge of the Red Devils as he could not get the best out of his squad. The English giants were knocked out of the Carabao Cup third round by Championship side Derby County in a penalty shoot out at Old Trafford. 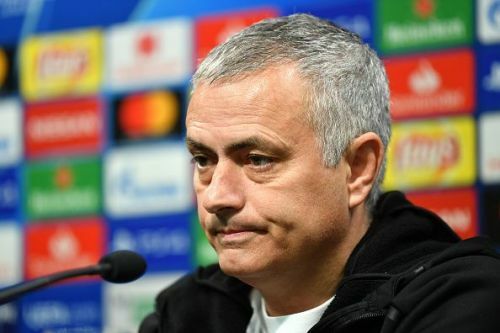 Manchester United have been awful defensively, conceding 29 goals in the 17 Premier League matches under Jose Mourinho this season with only two clean sheets. The Portuguese manager was relieved off his duties when Manchester United suffered their 5th defeat of the season against a Xherdan Shaqiri-inspired Liverpool. The Old Trafford hierarchy acted quickly to appoint Ole Gunnar Solskjær as the interim Manchester United manager until the end of the season as they are looking for a permanent manager. The Red Devils started life under the Norwegian manager in an emphatic fashion, hammering Cardiff City 5-1 to give Manchester United the biggest victory in the post Ferguson era. As things stand, Ole Gunnar still has a contract with Molde till 2021. The Portuguese manager has been terrific since taking over the reigns at Wolverhampton Wanderers in May last year, guiding them to Premier League promotion during his first season in charge, ending their six-year absence from the English top flight. Nuno's Wolverhampton Wanderers have been very impressive in the Premier League this season as they sit 10th in the Premier League table, two points behind the 7th placed Watford. With 18 more Premier League matches to go, he could guide the Wolves to a Europa League qualification as he did with little known Rio Ave in his native Portugal. Wolverhampton, under the guidance of Nuno Espirito Santo, have staged impressive performances against top sides in the Premier League. Wolves have picked up points against Manchester United and Manchester City while picking up maximum points against Maurizio Sarri's Chelsea. His impressive performances have not gone unnoticed as he was named Premier League Manager of the month in September after his Wolves side accrued 10 points from a possible 12, conceding only one goal in the process. 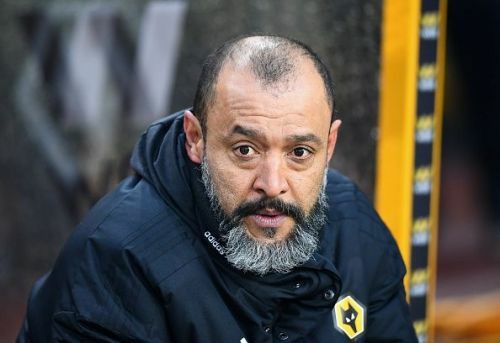 Nuno's Wolverhampton have been disciplined defensively and have conceded fewer goals than Manchester United who are sixth in the Premier League table. His tactical intelligence of playing three center at the back could help steady Manchester United and with the attacking talents that could be at his disposal, goals won't be a problem. Nuno Espiranto can step up and replace his compatriot as he has shown his pedigree as a top manager in the English top flight with previous coaching experiences at FC Porto and Valencia adding to his impressive cv.